First established in 1994 as a part time business to research and develop new machinery for use behind ATV Motorbikes. The partnership opened a full time business in their Creswick Rd factory in 1998 to launch their first products. The business won the highly coveted Elmore machinery field days 'Machine of the Year Award' twice in the following 4 years for their innovative ATV Equipment. In 1999 Phil and Daryl set up the agricultural spray contracting to capitalise on the new Blue Gum industry and in the following years had up to 12 staff and sprayed over 80,000 hectares both in Victoria and Sth Australia. They continue today having changed to Pinus Radiata with preferred contractor status with all the major forestry companies. Jensan Farm Services provide broadacre boom spraying services for pasture, cropping and lucerne across a wide area of Central and Western Victoria as well as pest animal control throughout the state and into NSW including the management and control of Deer , Feral Pigs , Rabbits , Wild Dogs , Foxes , Feral Cats , Pigeons , Possums and other problematic species . Jensan have the broadest range of equipment and a unique insight into the business they are in. 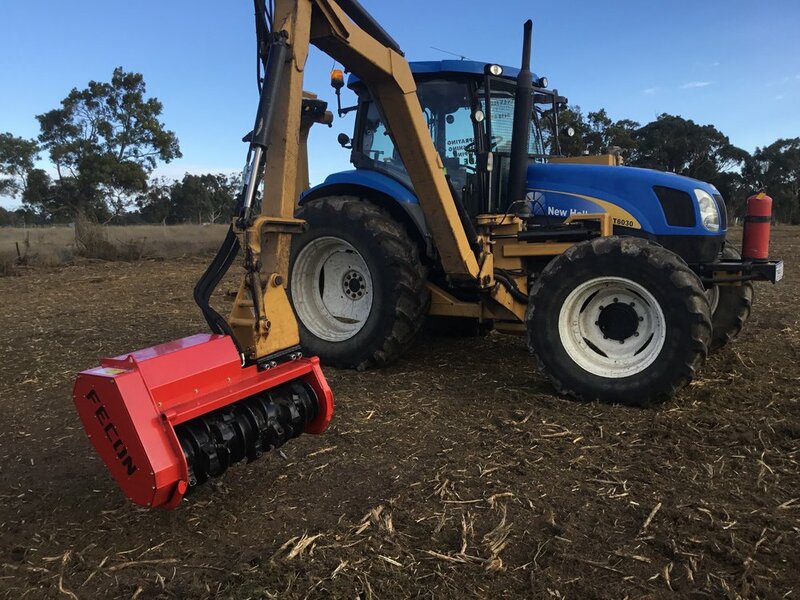 2011 saw the introduction of EcoBlade technology, this has allowed them to offer innovative vegetation management and scrub and noxious weed control, they have been able to replace some of their hand spraying with this technology.